Figure 16. Engine/Marine Gear Removal. Figure 15. Forward Hull Saddle Removal. Figure 17. Marine Gear Removal. gear (Figure 17, Item 1) to engine. blocked. Use suitable lifting devices to move hanging loads and heavy parts. 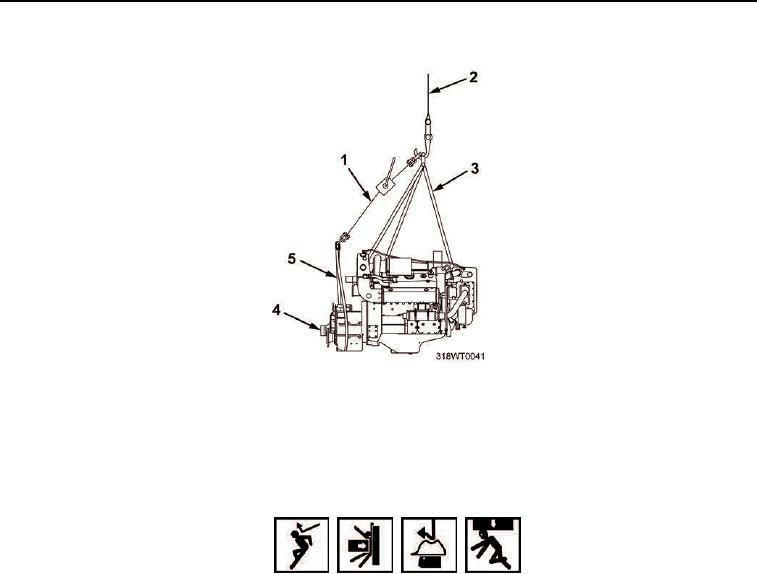 Using crane and loop sling, remove marine gear (Figure 17, Item 1) from engine.